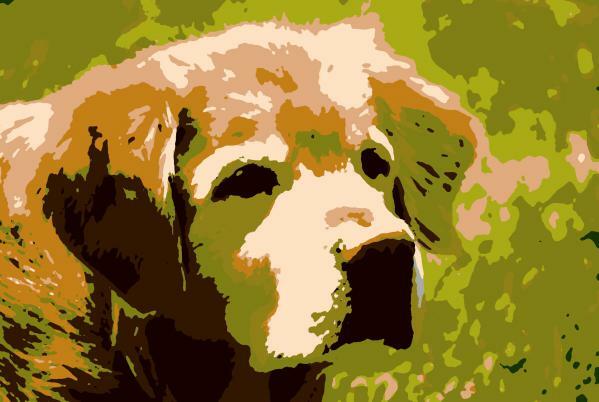 a painting of Rocky - Rocky the Golden Retriever (old age). 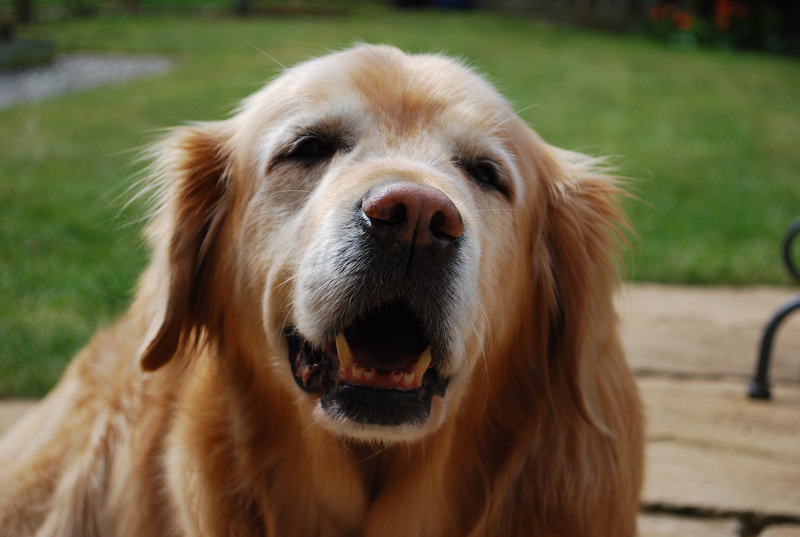 treats from Japan - Rocky the Golden Retriever (old age). 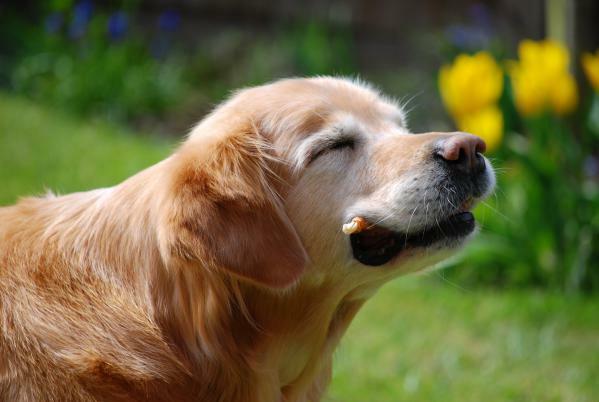 relaxing time in the garden - Rocky the Golden Retriever (old age).